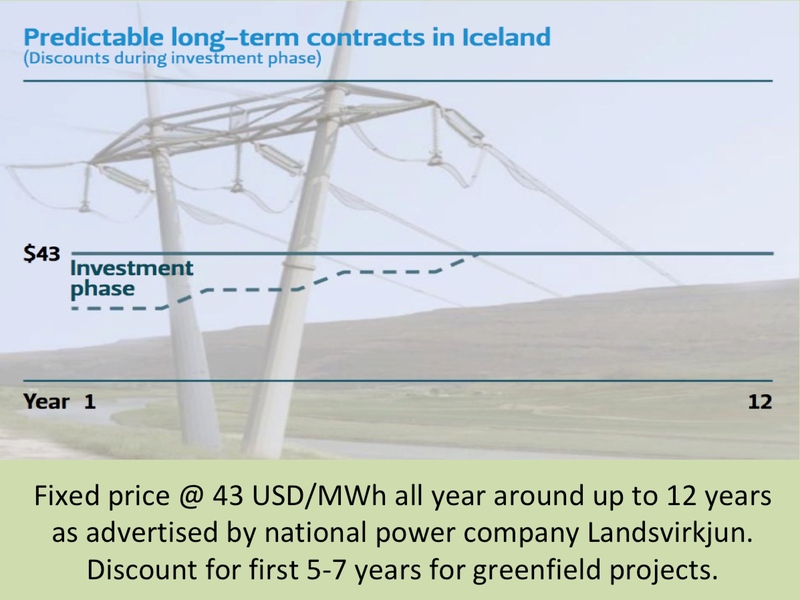 The Icelandic power company Landsvirkjun has introduced plans for several new renewable energy projects. If all these projects will be realized, they will add close to 7 TWh of annual generation from natural hydro- and geothermal sources. All the projects have been identified. 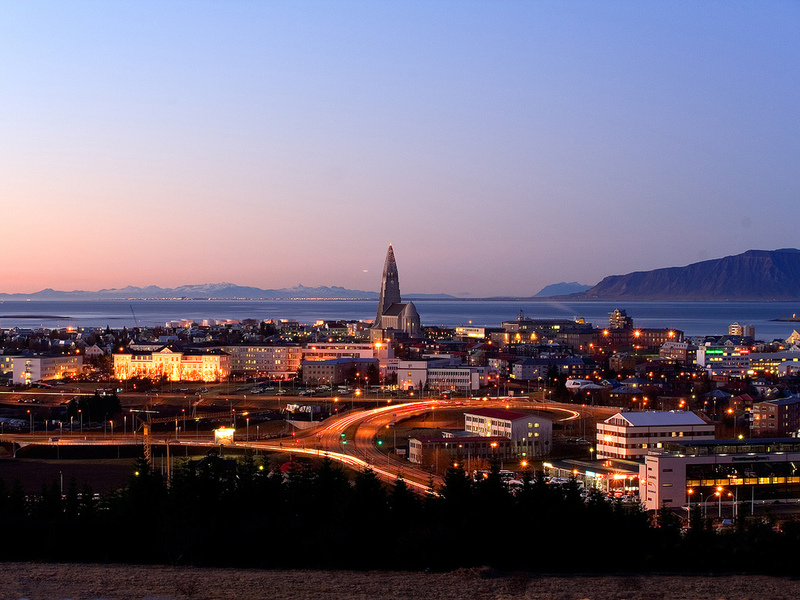 As Landsvirkjun is owned by the Icelandic government, formal decisions about which of the projects will be realized first depends on the Icelandic parliament. In addition, Landsvirkjun has put a figure on several other possible new power projects, that could be generating electricity within a decade or so. 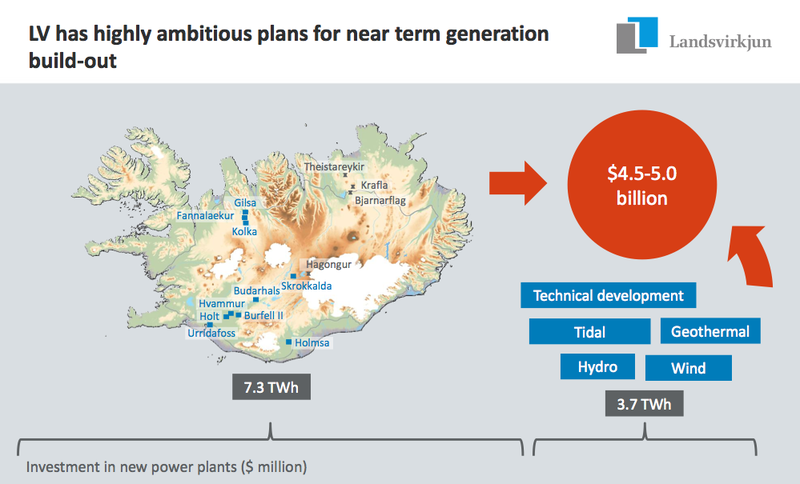 In total, Iceland may within near future be producing 9-10 TWh more electricity than today. This is not an exact figure; the new additional capacity could be somewhat less or even more. 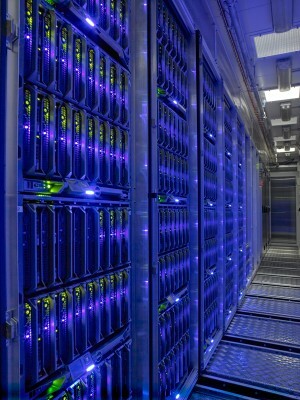 This will depend on the interest of new users of electricity, such as data centers, silicon industry etc. 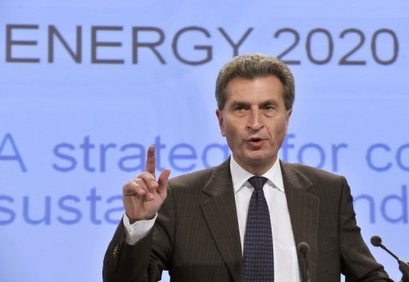 However, the most interesting option may be selling part of the new electricity production to markets in Europe. 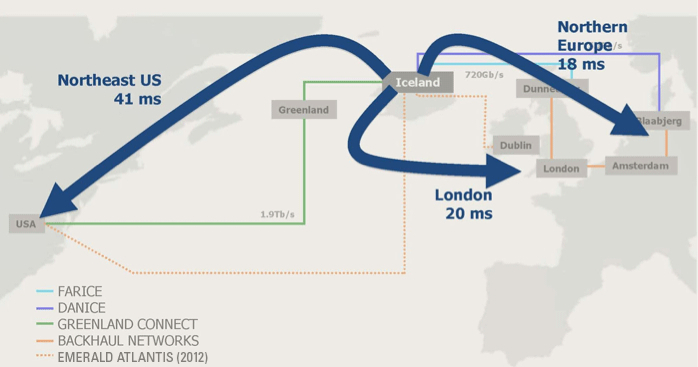 A feasibility study on a possible electrical cable (high voltage direct current cable; HVDC) between Iceland and Europe is currently being carried out by a special working group. The group includes people from the Icelandic power sector and other stakeholders, appointed by the Icelandic Minister of Industries and Innovation. It is expected that the working group will deliver its report during next year (2014). The high electricity prices in Europe make a cable to Europe an especially interesting option for the Icelandic power generating firms. During the last few years, wholesale electricity prices in Western Europe have often been around three times higher than in Iceland. 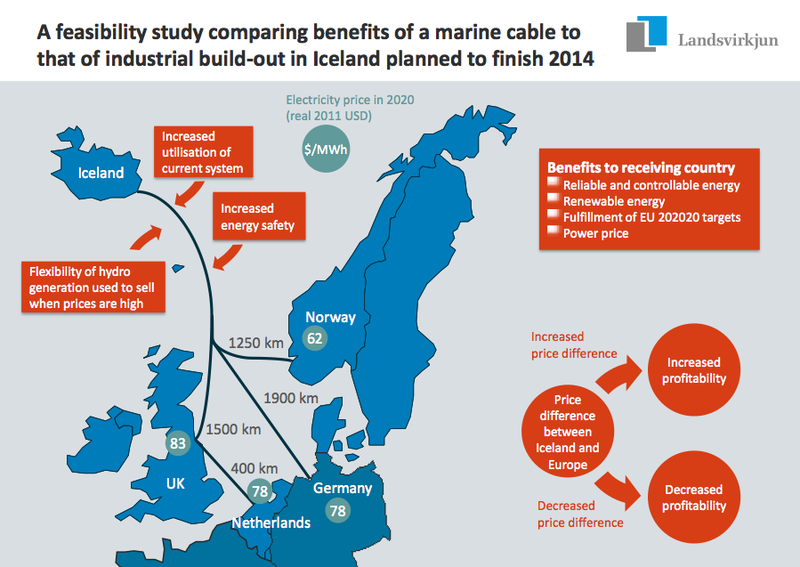 Thus, an electric cable between Iceland and Europe could increase the profits of Icelandic power companies substantially. There would be numerous other positive gains from such a cable, as presented on the slide at left (the slide is from a presentation by Landsvirkjun). For example, the Icelandic power companies would be able to maximize the current capacity, resulting in more production. Europe would enjoy access to new green electricity generation, which would help the member states of the European Union (EU) in achieving climate- and energy goals (the EU aims at raising the share of EU energy consumption produced from renewable resources to 20% no later than 2020). The issues of such a connection between Iceland and Europe was described in more details in one of our earlier posts. 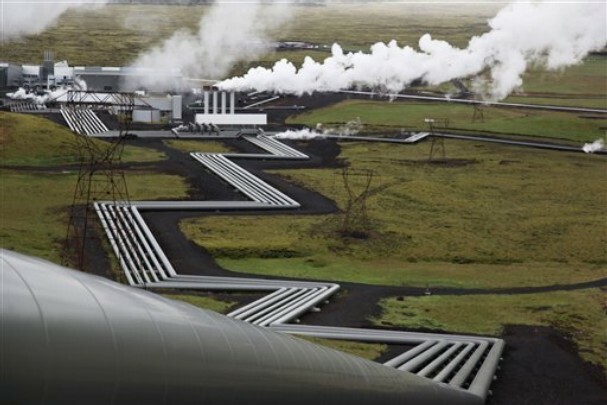 In the forthcoming months it will hopefully become clearer if Europe may gain access to the geothermal- and hydropower of Iceland. These words are from a recent blog of Mrs. Sri Mulyani Indrawati, Managing Director of the World Bank, following her visit to Iceland. 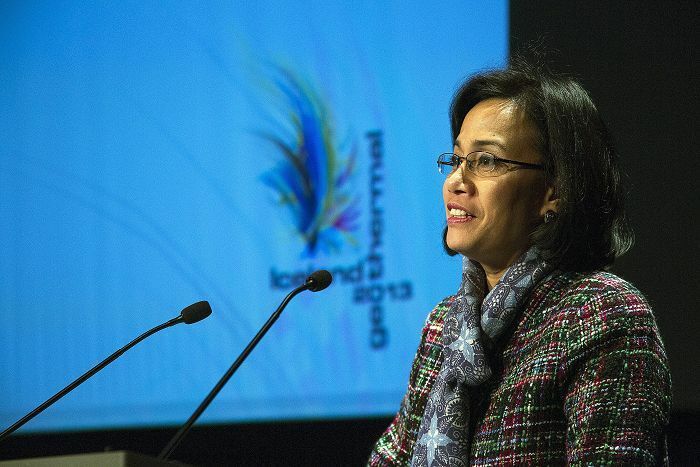 There, Sri Mulyani was a keynote speaker at at the Iceland Geothermal Conference, which took place in Reykjavik on March 5-8. Roughly 600 participants, delegates, and exhibitors attended the conference to discuss changes and forward thinking within the energy industry, with 55 presentations given by global figureheads within the industry. The Geothermal Conference has helped carry a positive message for the possibilities within the green energy industry. 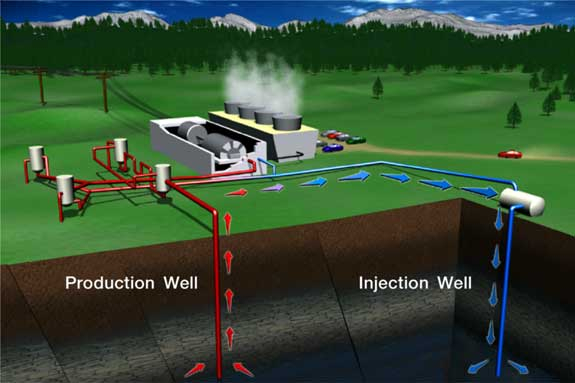 A major obstacle for geothermal projects has been the initial test drilling phase, which can be very expensive and risky. 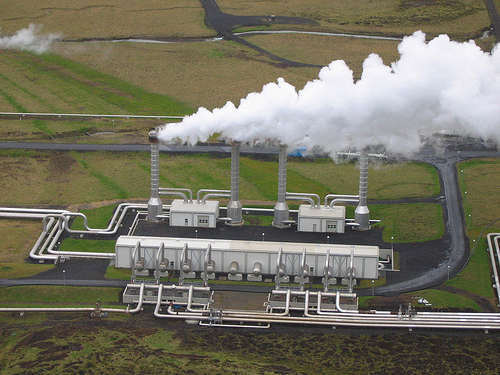 By its new Global Geothermal Development Plan (GGDP), the World Bank hopes to attract more investment into geothermal exploration. The focus of the GGDP is on geothermal opportunities in the developing world. Many developing world regions are rich in geothermal resources, including East Africa, Southeast Asia, Central America, and the Andean region. The GGDP will bring together donors and multilateral lenders around an investment plan to scale up geothermal power, with the goal of developing a pipeline of commercially-viable projects that are ready for private investment. Promising sites will be identified and exploratory drilling financed, with the aim of developing commercially viable projects. The Plan’s initial target is to mobilize USD 500 million. Donors can participate by identifying viable projects, and through bilateral assistance, as well as by contributing to existing channels such as the Climate Investment Funds (CIF’s) or the Global Environment Facility (GEF). The GGDP will be managed by the World Bank’s longstanding Energy Sector Management Assistance Program (ESMAP). The World Bank and Iceland are already working together to support surface exploration studies and technical assistance for countries in Africa’s Rift Valley. This cooperation includes project financing of geothermal exploration in thirteen East Africa Rift Valley by the Icelandic International Development Agency (ICEIDA) and the Nordic Development Fund (NDF).